Selling your home is an important business decision and should be taken seriously because your home is probably one of your most valuable assets! A professional, organized intelligent and business-like approach to the entire process is the key to a successful transaction. Our goal is to obtain for you, the seller, the highest possible price, given the relative market conditions, in the time frame that is best suited to you. These criteria, established in a realistic manner, are integral components of our successful formula. If we succeed, so do you !As a leader in the Real Estate field (Top 1% in Canada since 1998 for all Royal LePage Canada), our intricate knowledge and understanding of the nuances of the marketplace and the clientele can make all the difference in the successful outcome of a transaction. Our role as a real estate professional is to inform you, the seller; of the current market trends and factors that could significantly affect your property. We have had the opportunity to participate in a large volume of transactions, over 2,300! We also have been exposed to many scenarios under various market conditions. Experience and knowledge is what we bring to the table when we are listing, selling and negotiating - all to the benefit of our clients. At our listing consultation, we first walk through your home together and we will advise you on how to prepare your home for the market. Sometimes pulling up old carpet or a fresh coat of paint can really increase your profit. During this consultation, we will give you all of the information and statistics that you need to gain a clear understanding of the market in your particular neighborhood. Our team then immediately contacts the key Realtors who may have Buyers for your home to spread the word fast and create excitement. We use a camera that will show the truth to the buyers – undistorted photos mean no disappointment upon viewing your home. We make sure that we showcase your home at its best. Your home will be added, along with its floor plan (if available) and still photos to the listing section of our website. Our property feature sheets are thoughtfully written and before we are delivered to your house, you will have had a chance to review for your approval. As your advocates, we promise to negotiate to the best of our abilities and to advise you every step of the way. We will help you solidify your transaction to minimize your risk. 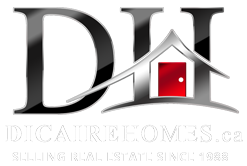 Don't hesitate, please, to ask any member of Dicaire Team ANY questionsregarding the sale of your property. Helping you is what we do!